There’s an old joke that goes: “If you want to hear God laugh, make a plan”. In November I hatched a plan to conduct a pilot study on a traditional herbal tea. The objective of the preliminary, mini-trial was to determine whether an herbal blend known as SLP Tea could help promote better sleep quality in a handful of my readers. I didn’t hear any divine chuckles, but not everything turned out quite as I had hoped. Initially, I enrolled 6 volunteers into my experiment. 3 of the 6 were ultimately able to comply with all of the guidelines I set for the study. Here’s the basic overview of the framework of the trial: A representative of Kroeger Herbs provided me with 6 (free) boxes of SLP Tea. I requested the assistance of 6 Healthy Fellow readers and subsequently shipped them: a) a 30 day supply of SLP Tea and; b) a copy of a standardized sleep test known as the Pittsburgh Sleep Quality Index (PSQI). The study volunteers agreed to fill out a PSQI before and after using the tea for 14 consecutive days. I personally tallied and compared the before an after test scores. Before I reveal the actual findings of the study, it’s imperative that I point out several key factors involved in the research. This variety of trial is commonly referred to as an “open-label” study. In other words, the participants knew what they were taking and understood the intended effect of the test preparation. This is not an ideal situation because it may encourage a “placebo effect” which can confound the outcome. However open-label research is often used as a starting point when investigating natural medicines because it isn’t expensive and the testing can usually be completed rather quickly. In addition, if such initial testing yields poor results, it typically suggests that further experiments will also provide disappointing conclusions. SLP Tea is a loose tea, not a tea bag, that contains the following herbal ingredients: hops flower, linden flower, lemon balm leaf, bitter orange flower and field poppy flower *. 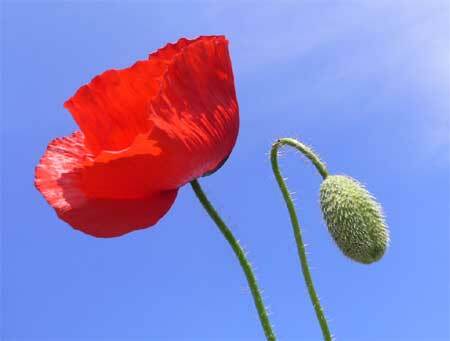 * One of the test volunteers initially expressed concern about the inclusion of poppy flower. I contacted Kroeger Herbs and was told that “The poppy flower used in the tea is actually derived from a different species than the flower with opioids”. The Kroeger representative went on to add that those using the tea “will not have any issues with drug tests”. Let’s briefly examine the scientific evidence behind the ingredients used in SLP. Please be aware that the product itself doesn’t appear to be formulated as a cutting-edge sleep supplement. Many of the herbs used in the SLP blend are generally considered traditional remedies that have been passed down from generation to generation without much scientific involvement at all. Note: PSQI scores greater than 5 indicate poor sleep quality. The Pittsburgh Sleep Quality Index includes a total of 18 questions that assists individuals and researchers to establish a picture of overall sleep quality. Some of the questions posed have to do with physical aspects of sleep comfort such as the average number of overnight bathroom trips, feeling too cold, hot or sensations of pain, psychological variables including anxiety and bad dreams, and more direct reflections of rest quality i.e. sleep latency, the number of waking episodes during the night and the frequency of sleep medication use. Apart from changes in the pre and post-trial scoring, the study volunteers also provided some additional data that is noteworthy. Volunteer #1 averaged almost 3 additional hours of sleep per night during the treatment period. She also reported falling asleep within 5-10 minutes while using SLP vs. 20-30 minutes without the tea. Volunteer #2 documented an additional half hour of sleep per night. In a follow up e-mail, this gentleman commented that, “The biggest and most important change that I have experienced since using the tea is a big improvement in the quality of sleep. I have been falling into a deeper sleep and upon waking I feel more refreshed than before using the tea”. He also observed having more vivid dreams while consuming the tea. Volunteer #3 reduced her sleep latency from about 30 minutes pre-tea to 10 minutes while using the SLP herbal blend. She also documented sleeping about 2 additional hours per night. Mrs. Healthy Fellow and I experimented with the tea as well. I personally did not observe much of an effect on my own sleep quality. However my wife did note that the tea appeared to help her fall asleep faster and rest more deeply. Through a little trial and error, we also discovered a way to improve the mildly bitter, floral taste of SLP – by adding a generous squeeze of organic lemon juice and a sugar-free sweetener, such as stevia. This latter point can make a big difference in terms of long term compliance. Some people simply will not drink an herbal brew if they don’t enjoy the taste. Although this trial didn’t go entirely according to plan, I still consider it a success. Based on this highly preliminary research, it does appear that SLP Tea promotes positive changes in sleep quality. Furthermore, it’s possible that these effects are more easily identifiable in female users. I offer my sincerest thanks to the three anonymous volunteers who helped to make this pilot trial possible. I also wish to thank Blake Smith of Kroeger Herbs for providing the tea used in the study. In closing I want to offer a brief reminder of my personal philosophy about sleep: It’s always best to try to address the root cause of sleep disturbances – be it pain, a lack of physical activity or psychological stress. There’s no good sense in ignoring a mental or physical stressor while trying to cope with it in the long term by using a natural or synthetic sleep remedy. This is not the holistic way of doing things. However, if you’ve tried to address the reason for your poor sleep quality and you still need added or occasional support, then I would personally look for a natural, safe remedy before reaching for an over-the-counter or prescription sleep medication. I hope the findings of this pilot, herbal sleep study will provide you with additional information that will help you and your physicians find the best possible option in your case. As usual – you rock, Sir! Lovely pic of a poppy, too! You’re too kind, Anne! But thank you! I’ll take it! Excellent information and research! Hats off to you for all the great work you are doing. Thanks again. Hey, that pic reminds me of me and my sweetie. I seem to benefit from Schiff Melatonin Plus (3mg + 25mg Theanine). I know quite a few people who absolutely swear by melatonin. Prior to using, did you have difficulty falling or staying asleep? I’ve noticed some very encouraging findings about theanine over the passed several years. I believe Dr. Bill Rawls (who sometimes comments here) recently mentioned using it as a smoking cessation aid. Yes! Theanine and Melatonin are a great combination for improving sleep. Melatonin will aid in falling asleep (I recommend a sublingual preparation!) and Theanine competes against exciting neurotransmitters to improve quality of sleep (helps to “turn the mind off” during rest). Another favorite is Ashwagandha. A member of the pepper family, it contains steroid chemicals known as withanolides, which moderate cortisol secretion by the adrenal glands for direct calming effects on the brain. Ashwagandha does not cause sedation during the day, but does improve sleep at night and is well tolerated with little potential for side effects. An interesting report on the tea, JP. Thanks for sharing! JP, always enjoy reading your studies and opinions. I use Sleep Blend SP-17 by Solaray. It contains Valerian, Hops, Skullcap, Passion Flower, Dandelion, Chamomile, Marshmallow and Hawthorn. I’m always interested in learning of natural ways to relax and sleep well. Melatonin works sometimes for me, I use no more than 1mg. and sometimes less. I started out with 3mg tablets years ago, and they gave me a headache the next morning. I don’t really like to use it though. I always had very vivid dreams and in color. It’s nice when it’s good dreams about lilac colored dogs, or paisley cats, but nightmares are quite intensified on Melatonin. Luckily they’re few and far between. Thanks for all your hard work, and have a great day! No, I never had a bad problem with insomnia…sometimes a little anxiety, and 5-HTP helped with that. I believe that taking magnesium citrate in the evening also helps me sleep more restfully. My late wife complained that melatonin gave her a hangover. She had chronic insomnia and suffered from nightmares. Thank you, Bill! I’m happy that you chimed in. Your explanation about the reasons for using Ashwagandha, melatonin and theanine were really helpful. Much appreciated! Thank you, K2C! I remember that formula from Solaray. I think it must work well for many people because it’s been around for a long, long time. Melatonin appears to intensify dreams and may provoke nightmares in a small percentage of people. In those cases, it may be better to provide the body with serotonin precursors (such as 5-HTP or tryptophan) which can encourage the natural production of melatonin. I use magnesium citrate in the AM and PM as well. I think it’s an extremely important nutrient that is commonly deficient in many people. I’m preparing a new column about that for Monday. It’s great you took the initiative to do this study. I wonder if the tea’s calming affect is what made a difference. In other words. If you tried different calming techniques before going to bed, would it help to improve the quality of sleep? I might have to try this myself. That could very well be the case. I think mind-body relaxation exercises are great tool to use prior to bedtime. In fact, I’d suggest trying such exercises prior to using any sleep remedy – be it natural or synthetic. J Am Coll Nutr. 2015 Mar 11:1-12. In Search of a Safe Natural Sleep Aid. Sleep deprivation is associated with an elevated risk of various diseases and leads to a poor quality of life and negative socioeconomic consequences. Sleep inducers such as drugs and herbal medicines may often lead to dependence and other side effects. l-Theanine (γ-glutamylethylamide), an amino acid naturally found abundant in tea leaves, has anxiolytic effects via the induction of α brain waves without additive and other side effects associated with conventional sleep inducers. Anxiolysis is required for the initiation of high-quality sleep. In this study, we review the mechanism(s), safety, and efficacy of l-theanine. Collectively, sleep studies based on an actigraph, the obstructive sleep apnea (OSA) sleep inventory questionnaire, wakeup after sleep onset (WASO) and automatic nervous system (ANS) assessment, sympathetic and parasympathetic nerve activities, and a pediatric sleep questionnaire (PSQ) suggest that the administration of 200 mg of l-theanine before bed may support improved sleep quality not by sedation but through anxiolysis. Because l-theanine does not induce daytime drowsiness, it may be useful at any time of the day. The no observable adverse effect level (NOAEL) for the oral administration of l-theanine was determined to be above 2000 mg/kg bw/day. Key teaching points: Sleep deprivation-associated morbidity is an increasing public health concern posing a substantial socioeconomic burden. Chronic sleep disorders may seriously affect quality of life and may be etiological factors in a number of chronic diseases such as depression, obesity, diabetes, and cardiovascular diseases. Most sleep inducers are sedatives and are often associated with addiction and other side effects. l-Theanine promotes relaxation without drowsiness. Unlike conventional sleep inducers, l-theanine is not a sedative but promotes good quality of sleep through anxiolysis. This review suggests that l-theanine is a safe natural sleep aid.